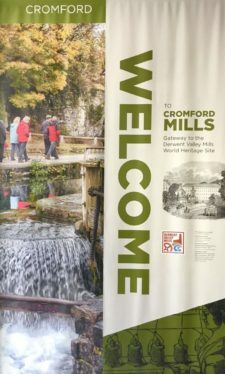 Why are Cromford Mills which are found in the Derwent Valley in Derbyshire, England so important that they merit being listed as a UNESCO World Heritage Site? 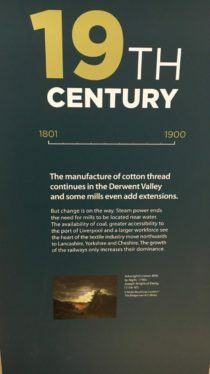 To understand this we need to find out a little about a certain Sir Richard Arkwright. He is recognised as the founder of the factory system. 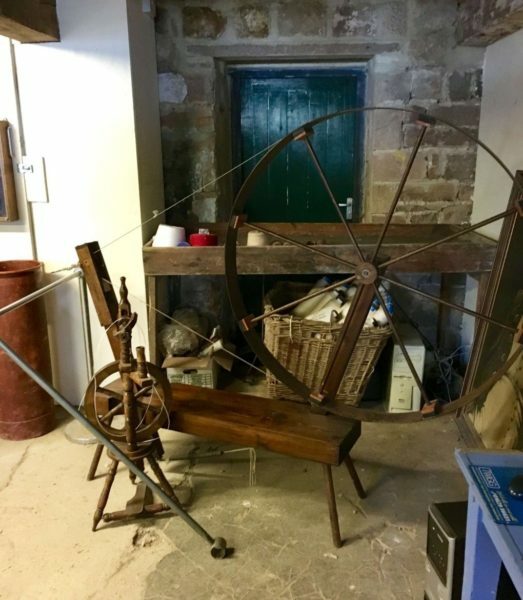 He made his fortune after pioneering the first successful water powered cotton spinning mills in Cromford in Derbyshire in the late 18th century. 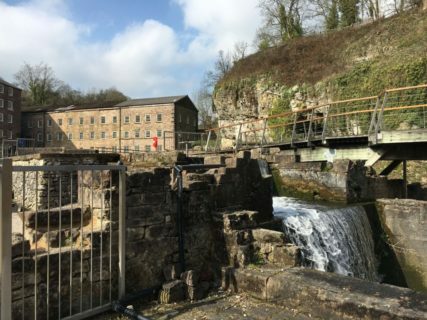 The Derwent Valley Mills were recognised in 2001 as a UNESCO World Heritage Site and stretch from Masson Mills in Matlock Bath 15 miles south to the Derby Silk Mill. 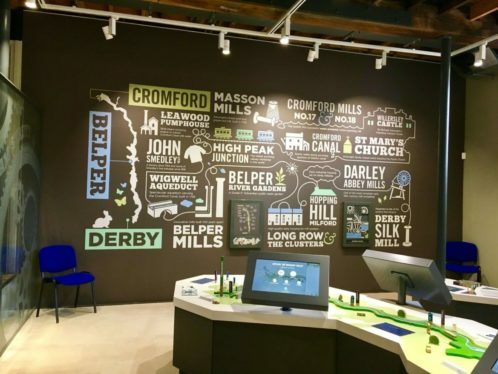 It incorporates the communities of Cromford, Belper, Milford and Darley Abbey and consists of 17 designated sites. 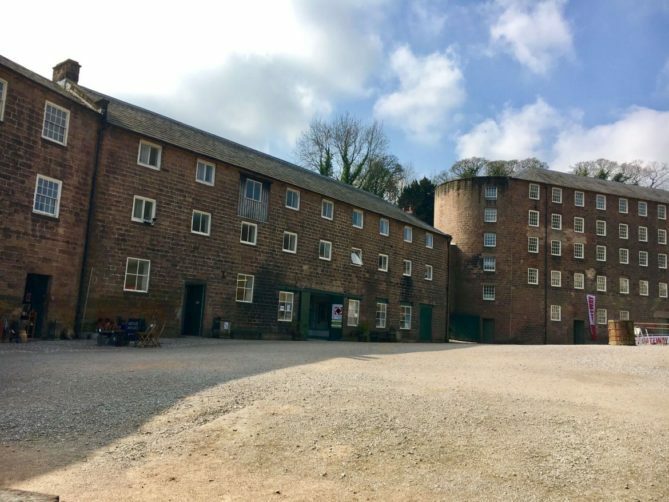 I have visited Cromford Mills many times since I have lived in this part of the UK but recently completed work on the regeneration of a derelict warehouse at the site sparked my interest. 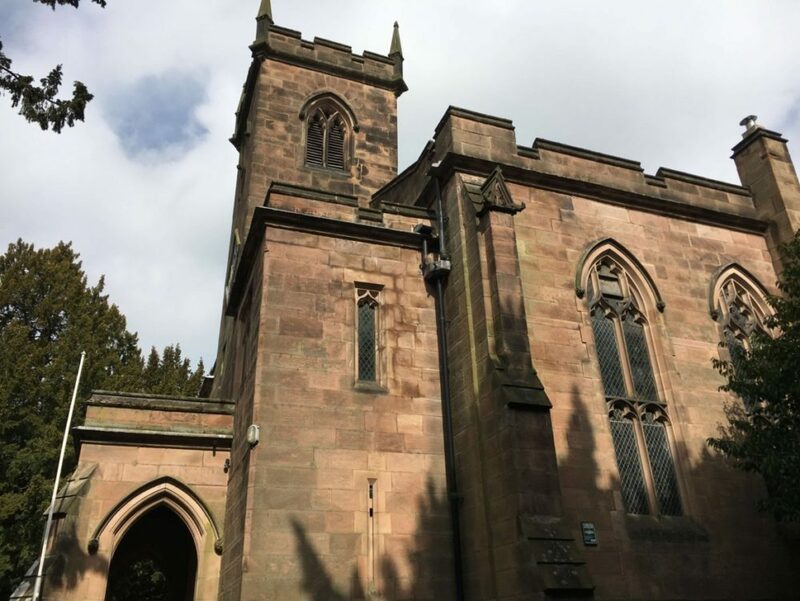 The building has been fully restored and on the ground floor can be found the Gateway Centre. 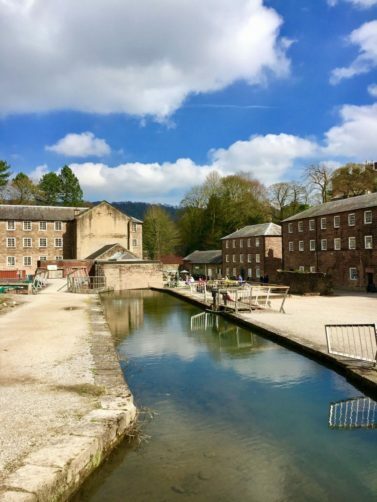 So what can you see and do when visiting Cromford Mills? 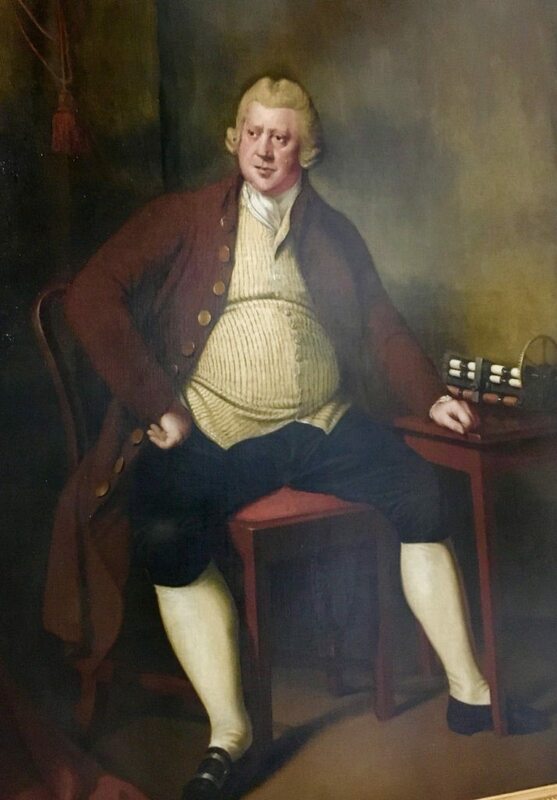 In the Gateway there is a short video presentation (narrated by Brian Blessed) which gives information about Richard Arkwright. 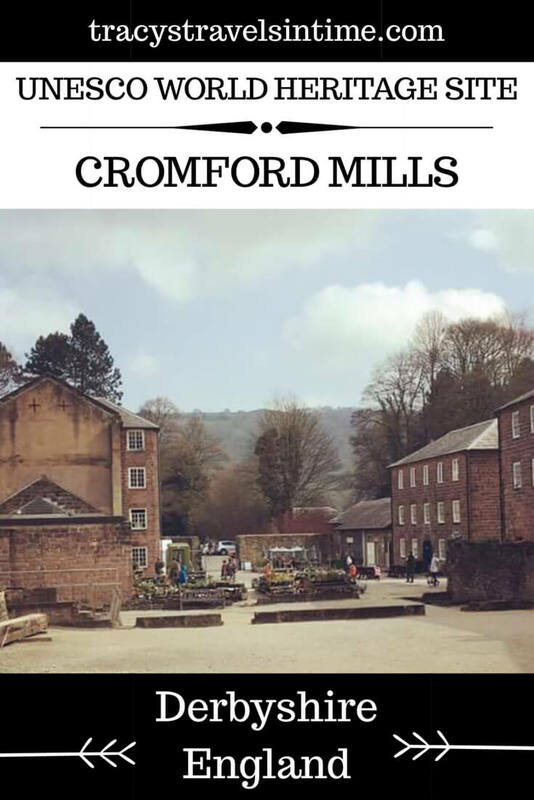 It explains how his success at Cromford led to the spread of the factory system and impacted on the entire world. 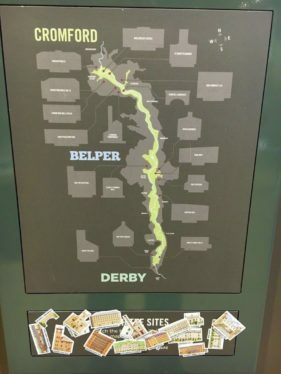 There is an interactive model of the valley and touch screens and informative displays about the valley and all it has to offer visitors. There are also volunteers who can tell you all you want to know. 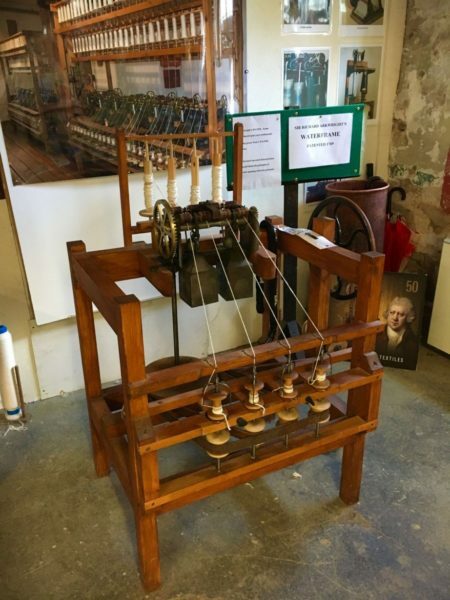 We also decided to take the ‘Arkwright Experience’ which takes place in what was his very first cotton mill. 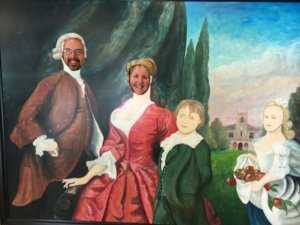 It is superbly done and very interesting audio-visual presentation with Richard Arkwright himself appearing as your guide! An adult single ticket cost £3 – well worth it. 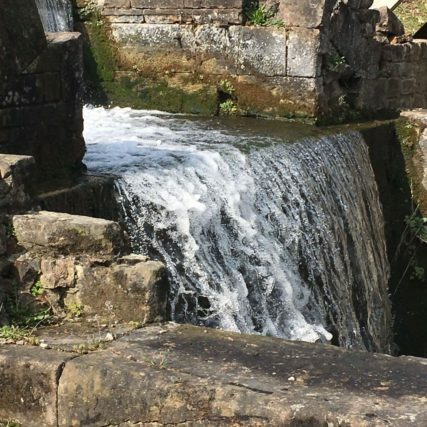 This really sparked our interest even more so we decided to buy a ticket for the 1pm Daily Mill Tour. It is on at various times during the day I believe. 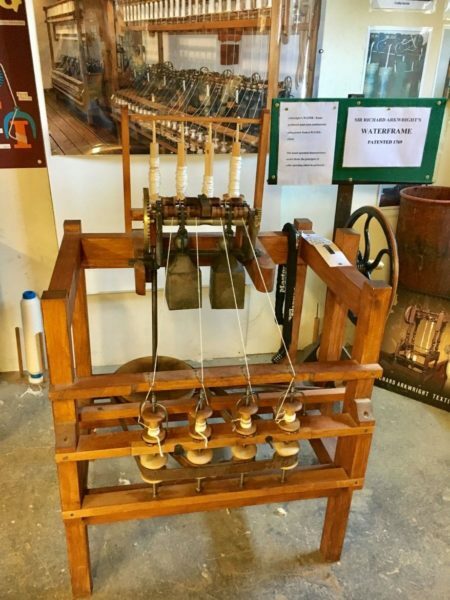 As we had already purchased the ‘Arkwright Experience’ ticket we were able to upgrade and pay another £4 each (a £1 reduction). 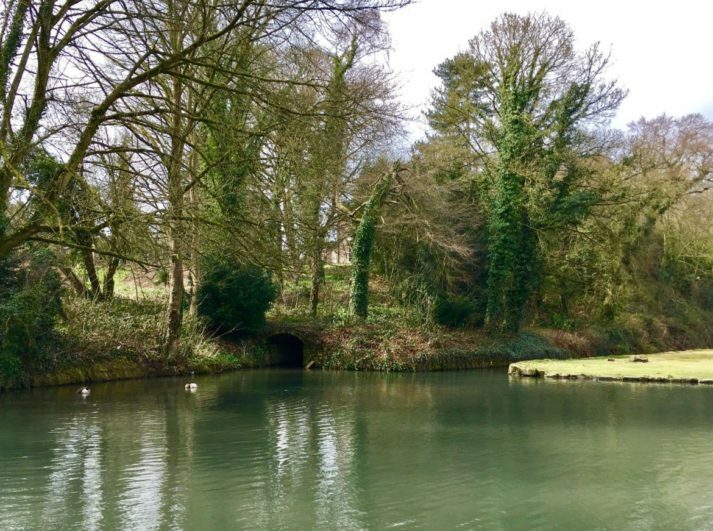 Our guide – Phil – was enthusiastic, engaging and he knew his stuff. The tour took over an hour and was really interesting. 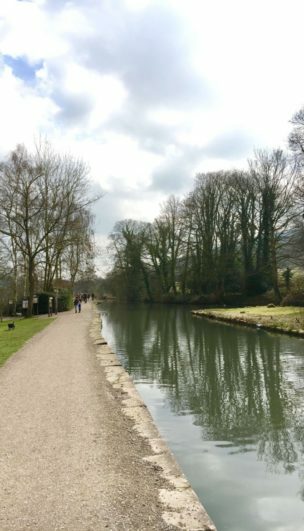 Across the road is Cromford Wharf which has a lovely walk which takes you along the side of the canal. There are cafes and shops to have a browse in or stop for a bite to eat and a drink. 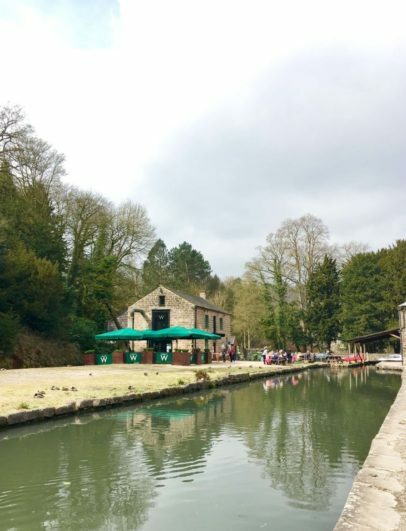 There is plenty parking at the mill or across the road at the canal. 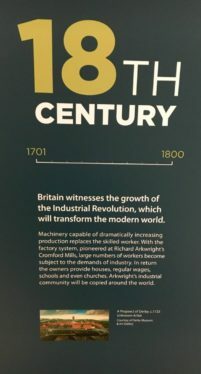 It costs 60p an hour and there are lots of pay and display machines around. 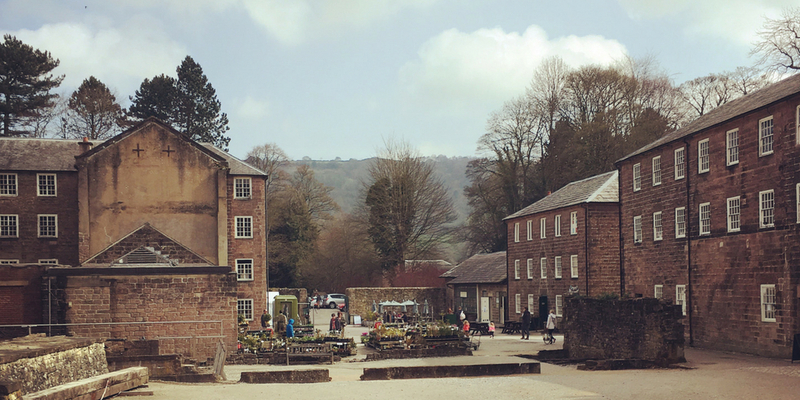 I think visiting Cromford Mills is an excellent introduction to the Derwent Valley Mills World Heritage Site. 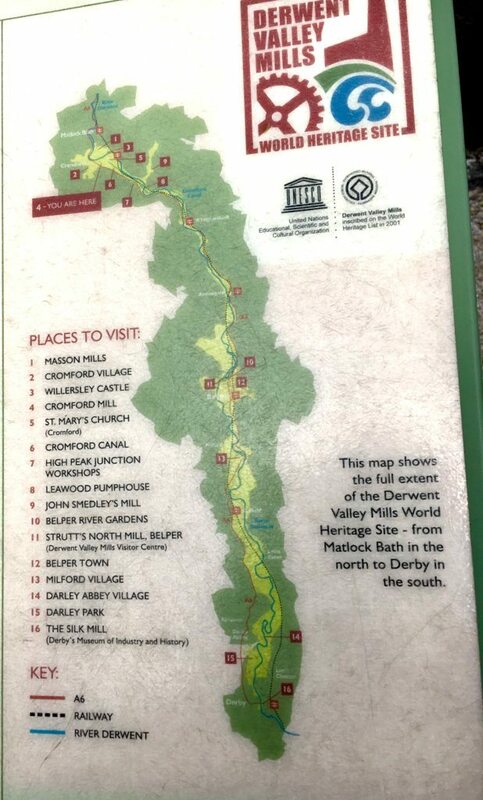 We have earmarked more of the sites to visit. The new Gateway Centre is an excellent way to find out what the Valley has to offer and signposts very successfully other sites worth exploring. If you want to know – click here for the official website! 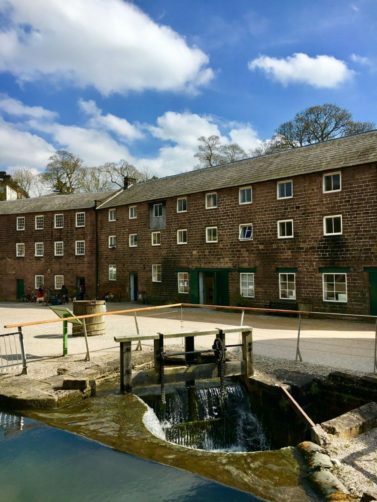 Remember when visiting Cromford Mills that they are part of Derwent Valley Mills which are a UNESCO World Heritage Site – Read their listing HERE!